Malin has been working at Concealed Wines since Summer 2009. Malin helps with preparation of advertisement campaigns and marketing events. Except being a great member of Concealed Wines, Malin is also an excellent wife, in love with Calle. Together Calle and Malin has a small daughter called Rut, that most certainly will be the next generation of Concealed Wines one day. Personal Notes: A great wife to Calle and a great Mother. 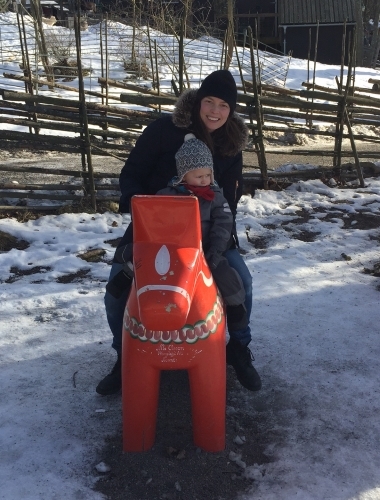 Was professional simmer however after moving to Stockholm from country side Malin understood life is much more than only swimming. Favourite Quote: Go to southern part of Stockholm, it is better quality of life. Contact Malin at: Send and email to Calle and he will send it further to Malin if it make sense.